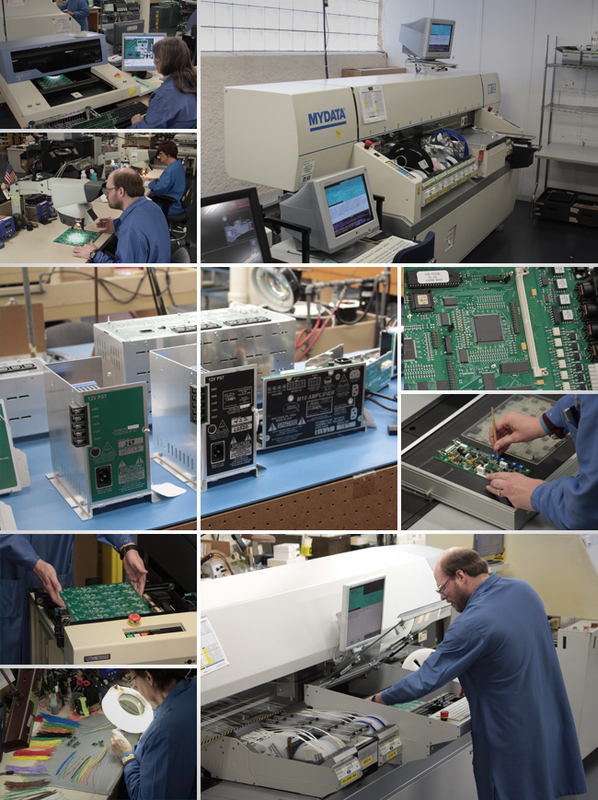 Allen Integrated Assemblies, (AIA), is a full service contract manufacturer, located in Macungie, PA, specializing in Printed Circuit Board and Electro-mechanical assembly. We have been in business since 1989. We offer the full line of services including turn-key manufacturing, SMT, BGA, PART-ON-PART & Through-hole technologies, X-ray and AOI inspection, Lead and Lead-Free processing, In-circuit and functional testing, and complete box builds and electro-mechanical assembly. 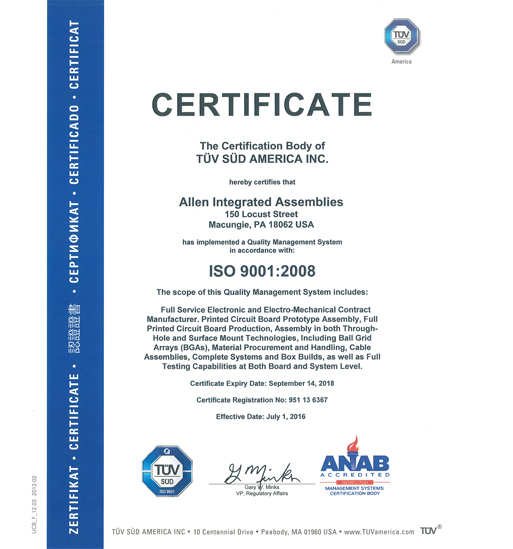 Allen Integrated Assemblies is committed to the continuous improvement of our capabilities to meet or exceed our customers’ expectations of products and services. The engagement and commitment of every employee. Improved systems, processes, procedures and equipment in all functional areas. The ongoing desire to understand our customers’ needs and to exceed their expectations.